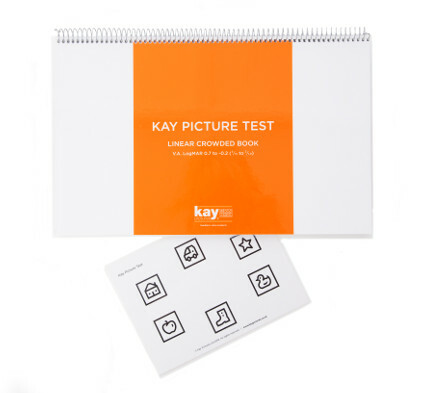 This is the original Kay Picture Test Low Vision Book which is speciﬁcally targeted at testing those with poor vision. 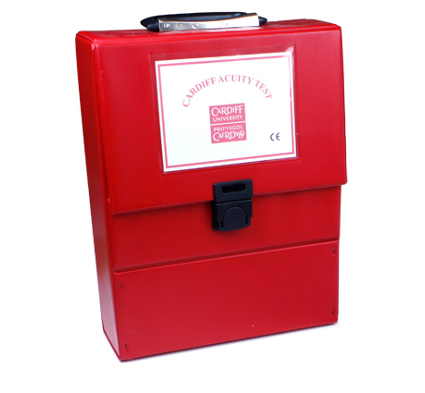 It has single, uncrowded picture presentation in twelve LogMAR sizes, which at three metres is from 1.3 to 0.2, plus a near vision test and matching card. Age 18 months+. 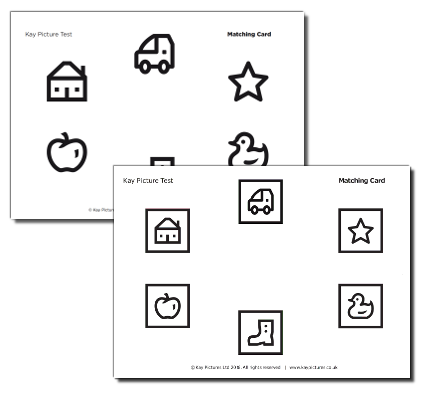 You can find the new Kay Picture Test Low Vision Book with the new improved and fully researched optotypes here.